My mini vinegar distillery is expanding. So far I've made red wine (using local organic wine), chardonnay, sav blanc and even prosecco vinegar (which was very tasty). I've even managed to produce enough to use in my own chutney. The mothers keep on producing so I can keep expanding production, as well as give some away. 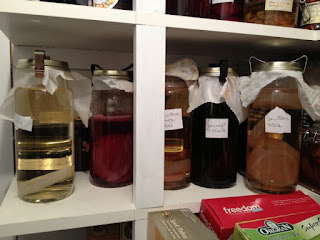 I'm looking forward to experimenting more with different acidity, and also making some cider vinegar with some local cider. My home made vingear is softer and smoother, and more flavoursome than shop bought. Brilliant for using in dressings or gravies. It is very easy to make too. I bought my mother from the excellent green living australia , and use their instructions. The great thing is that as you make vinegar, you produce more mother cultures that you can then transfer to start new batches.If you haven't tried making your own vinegar then I recommend it - it's very easy and doesn't require any special equipment once you have your mother culture. 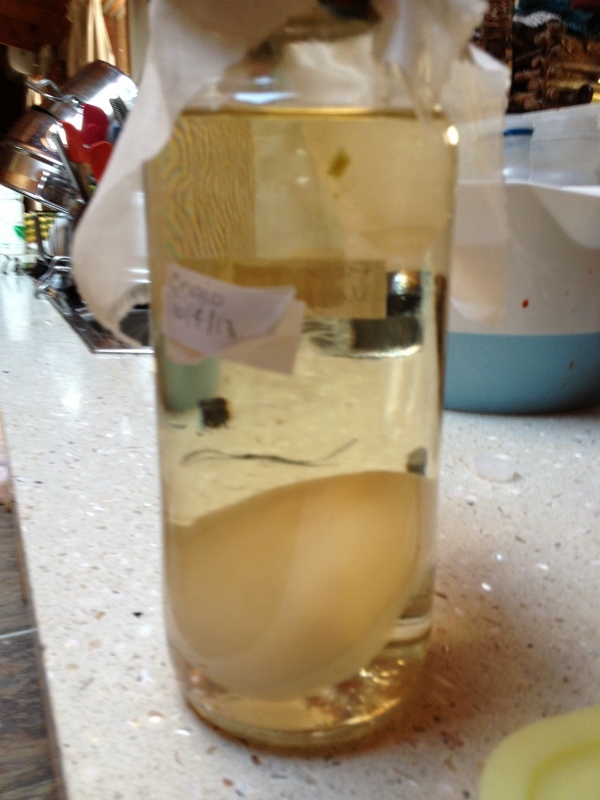 I had not thought to make my own vinegar before. the process sounds pretty simple. It is very straightforward - you should give it a whirl Zara and joyful! Ahh you make it clear thank you. 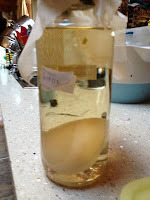 I had a vinegar mother in a big preserving jar with white wine that was not great. It eventually grew different moulds on it and I threw it out.Now I realise I should have had a lid as well as the net over it- duh. Back to the drawing board for me. Lucky I still have a few of those not great wines to go. I also tried the pasta in the wine to make my own 'mother' but that didn't work in apple cider either- ho hum.